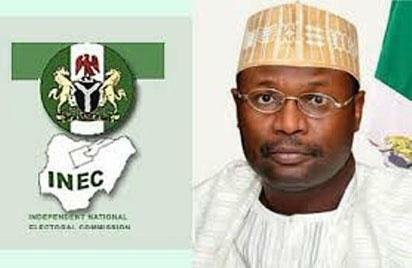 ABUJA—The fidelity of the outcome of last Saturday’s local government elections in Kano State is now in question, following the decision of the Independent National Electoral Commission, INEC, to dissociate itself from incidences of underage voting, which was allegedly a prominent feature in the exercise. According to Oluwole Uzzi, Director, INEC Voter Education and Publicity, “the attention of the Independent National Electoral Commission, INEC, has been drawn to videos and pictures purportedly showing some underaged thumb printing ballot papers in a recent election. These images have been circulating online since Saturday. “The INEC wishes to inform the public that the images do not relate in any way to any election organised, conducted or superintended by INEC. However, Vanguard checks revealed that INEC usually provides national voters’ register to State Independent Electoral Commission, SIEC, for local council elections. The state electoral commissions are, therefore, expected to accredit only those voters in INEC register. There had been concerns by some election observers that while underage voters may have been used to boost the 2015 election outcome in the state, the incident might repeat itself in 2019, if Saturday’s occurrence is not questioned. Uzzi said: “While the commission remains resolute in our commitment to sanitise the nation’s electoral process and deliver free, fair and credible elections, we cannot be held directly or vicariously liable for an exercise outside our legal purview. “It should be pointed out here that local government elections are exclusively the constitutional responsibility of the respective State Electoral Commissions, SEC, who are in no way under the control or supervision of INEC. The post In Kano: We don’t have control over underage voters— INEC appeared first on Vanguard News.